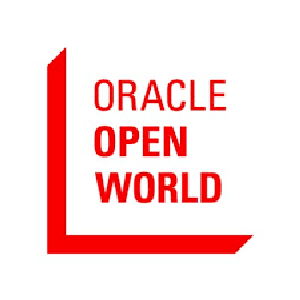 Next week, Supply Chain Matters in the presence of supply chain industry analyst and blog founder Bob Ferrari will be providing live blogging coverage of Oracle’s annual OpenWorld customer conference being held in San Francisco. We have attended this conference for many prior years and it seems that with every passing year, Oracle’s transformation to a totally Cloud based applications and technology platform provider takes on additional meaning. As in previous years, the growing population of Oracle customers can anticipate a slew of new product announcements and tech unveilings. One certain area previously highlighted on this platform will be further announcements related to Oracle Autonomous Transaction Processing which has rather broad implications in areas of mission critical supply chain systems. We further anticipate from a prior pre-briefing, a significant announcement in a hot area related to supply chain management technology support. Another important area will be the latest updates on the Oracle Soar offering which Supply Chain Matters profiled in a June blog commentary. Oracle CTO and Chairman Larry Ellison described this service as: “The world’s first fully automated enterprise cloud application product that will enable Oracle customers to reduce the time and cost of cloud migration.” Ellison, in his remarkable flair for marketing, coined this new capability as: “The last upgrade you will ever do.” Oracle like other major enterprise software providers are developing means to help customers move toward the Cloud in less business disruptive forms. Stayed tuned to Supply Chain Matters all next week for continued dispatches from the 2018 Oracle OpenWorld conference.